Journalists working for the BBC World Service and BBC Monitoring will now receive the same median pay as their colleagues in BBC Network News, the corporation has announced. 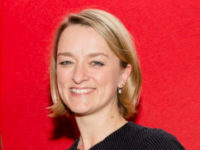 The decision to align the median pay, or typical salary, follows a review by auditors PWC and comes as the BBC moves towards a “more integrated news operation”, according to a spokesperson. The change is not part of the BBC’s ongoing audit into the gender pay gap at the corporation or its review into on-air talent pay, which is to follow. According to the BBC, its Network News and World Service arms are already working together on investigations, original reporting and breaking news as well as developing mobile and online technologies. BBC News director James Harding has said he wants the integration between the services to go yet further. He said: “We believe in a vision for both the World Service’s and BBC Monitoring’s future, which serves both global audiences and drives cultural change and creative innovation across the BBC. “We are all keenly aware of our responsibility to the licence fee payer, seeking to provide the highest quality services at the best possible value for money. “So, we have considered carefully the argument that internal and external market forces should continue to be factors setting World Service and BBC Monitoring pay. The pay decision follows publication of the World Service Pay Review, which looked at pay for off-air journalism roles (from grades two to 11) in the World Service and BBC Monitoring in the UK relative to Network News. “The review found there were some differences in pay for some groups of people in the World Service and BBC Monitoring compared to Network News,” a spokesperson said. Pay increases will be backdated to 1 August 2017, the BBC said. The BBC World Service has a weekly worldwide audience of 269m and operates in more than 30 languages, according to the BBC. BBC Monitoring “examines openly available media sources from around the world to provide news, information and insight to BBC journalists, UK government customers and commercial subscribers”, the corporation said. The BBC World Service is undertaking its biggest expansion since the 1940s, backed by £289m in Government funding, including the addition of 12 new language services.